Seattle Pacific University is a complicated venue, with many buildings, walls, staircases, and tight corners that can make navigation here tricky. For more advanced orienteers, it requires concentration and focus to pick the fastest and most efficient routes and avoid traps – but because SPU is a very urban campus with essentially no forest navigation, it is also suitable for beginners. 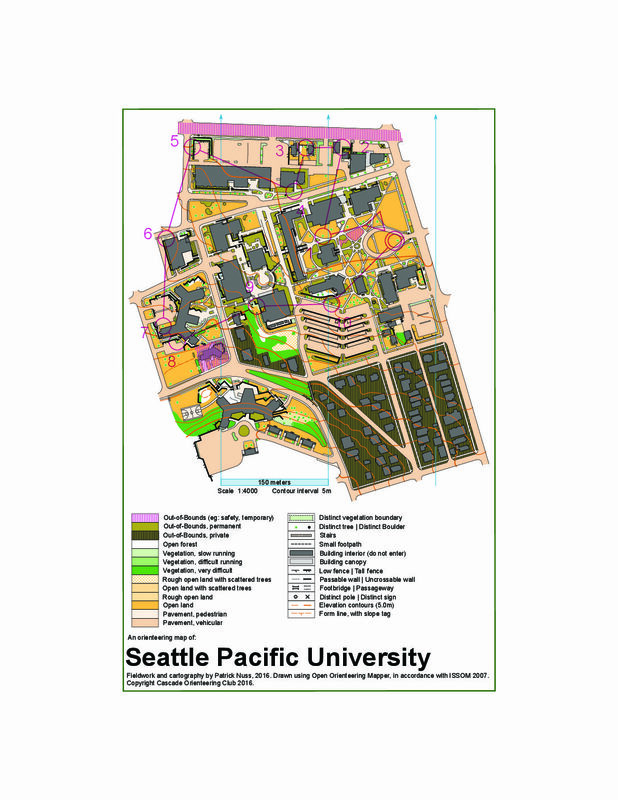 Because the SPU campus straddles the northern foot of Queen Anne, the southern part of the map is actually quite steep as the terrain begins to climb the hill. As such, courses here will generally include more elevation gain than those at most urban/campus venues. Running surfaces are generally excellent – either grass or pavement.